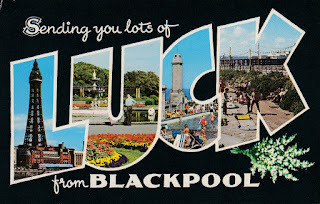 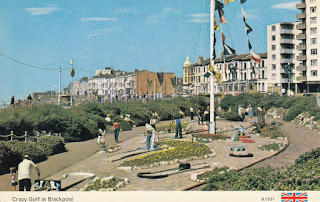 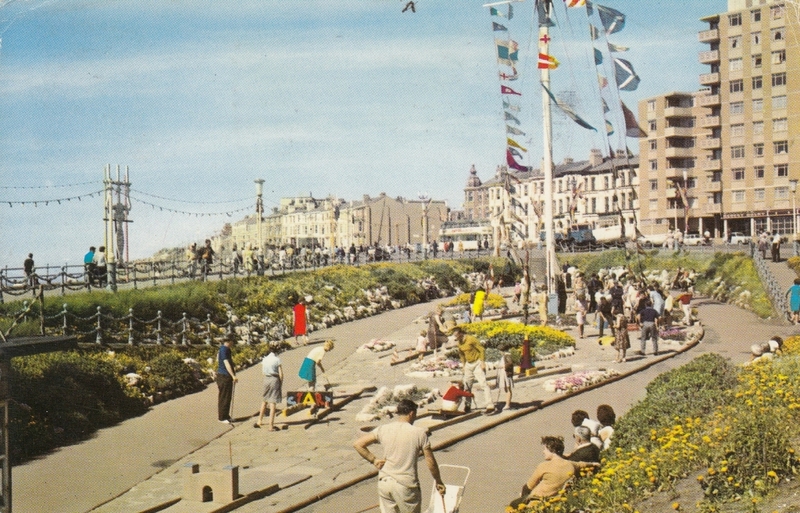 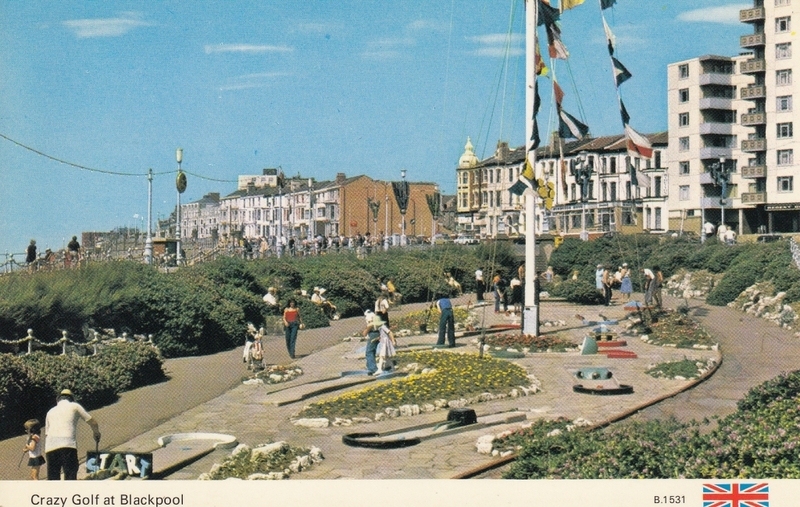 The old Crazy Golf course behind the Metropole Hotel in Blackpool is re-opening soon. 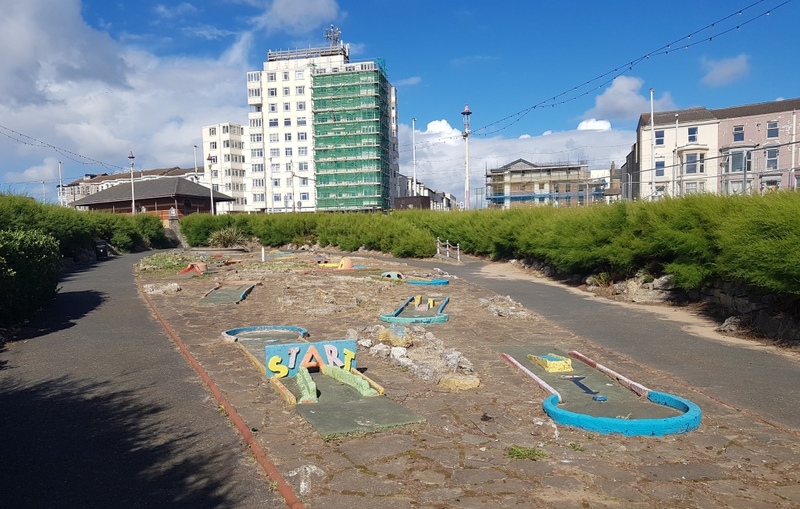 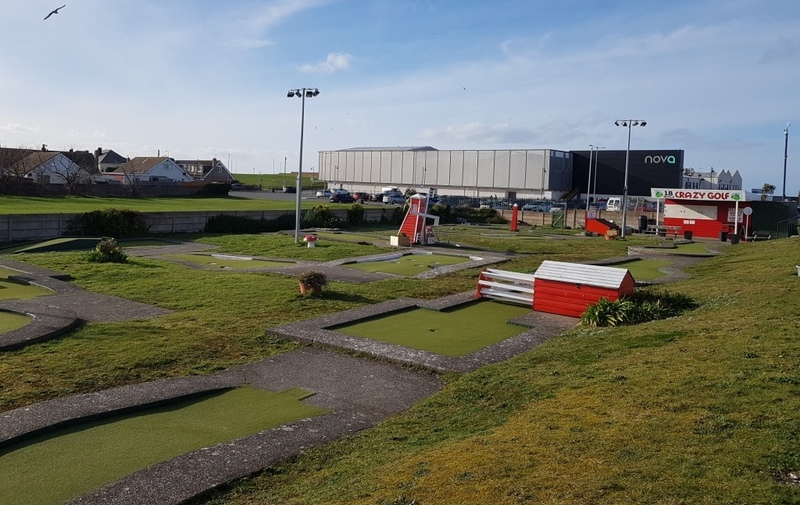 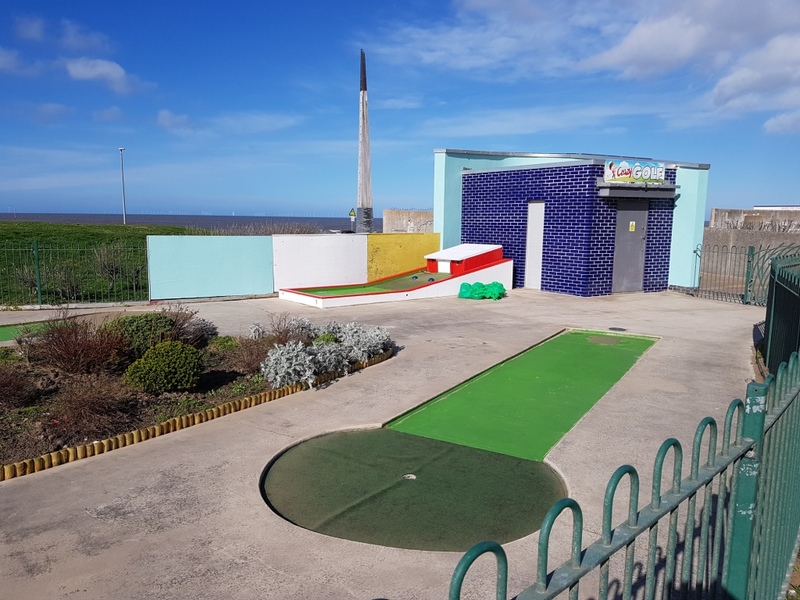 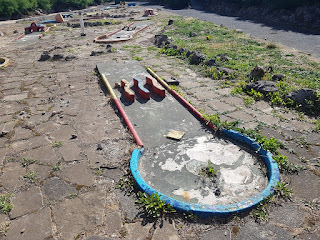 Blackpool Fulfilling Lives and Blackpool and Fylde Street Angels have come together on a new project to breathe life into the old North Shore Crazy Golf course in Blackpool. 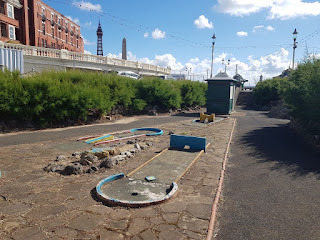 The project will help homeless people in Blackpool by giving them a chance to work on the Crazy Golf course so it is playable and then staffing it for the upcoming summer season and beyond. 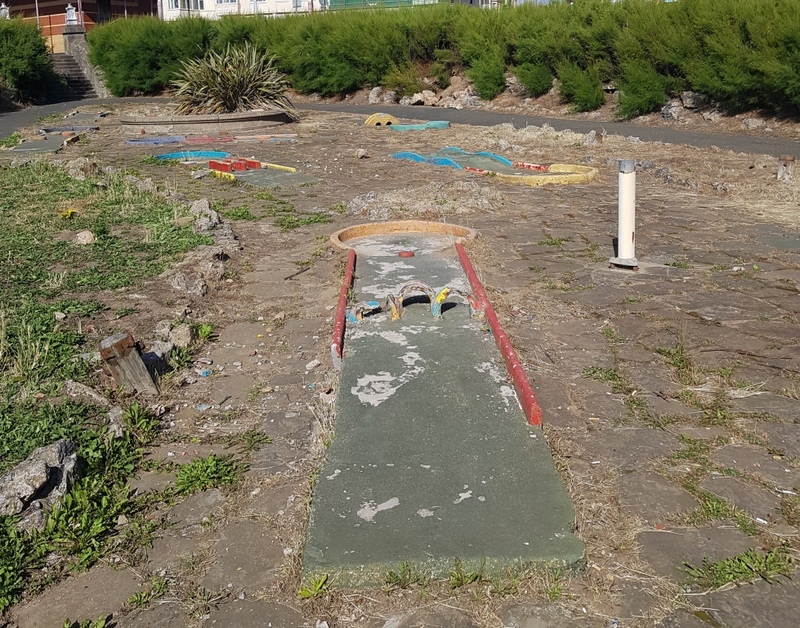 It sounds like a brilliant plan to give people the opportunity to receive work experience, while also bringing a disused minigolf course back to life. You can find out more about the project on the Blackpool Fulfilling Lives and Blackpool and Fylde Street Angels websites and social media channels. We always enjoy visiting Blackpool and have wanted to play the North Shore Crazy Golf course since we first saw it back in 2009. We've been back a number of times since and it's always been so sad to see it closed. 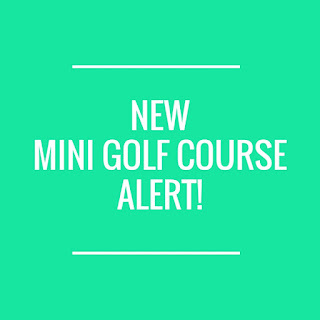 We're looking to playing the refurbished course on our Crazy World of Minigolf Tour. Even though we've never played the course we have collected a large number of old postcards showing the course over the years. Here are four of them. 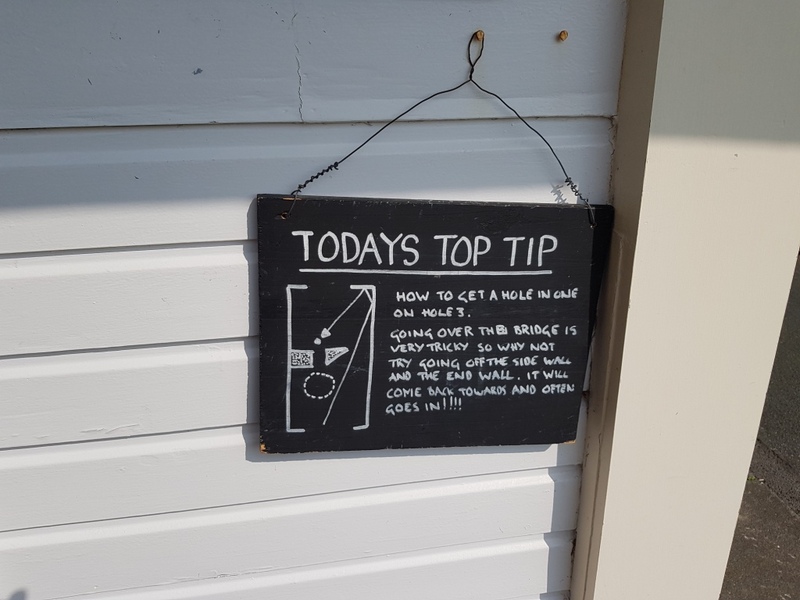 The things you see at Car Boot Sales! 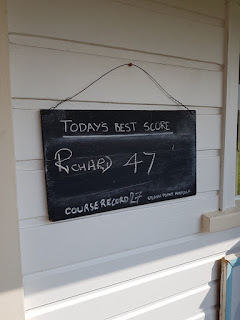 On Saturday we called in at a car boot sale at Trinity Park in Ipswich to see if we could snap up some bargains. In among all the tat we saw these two items side by side. 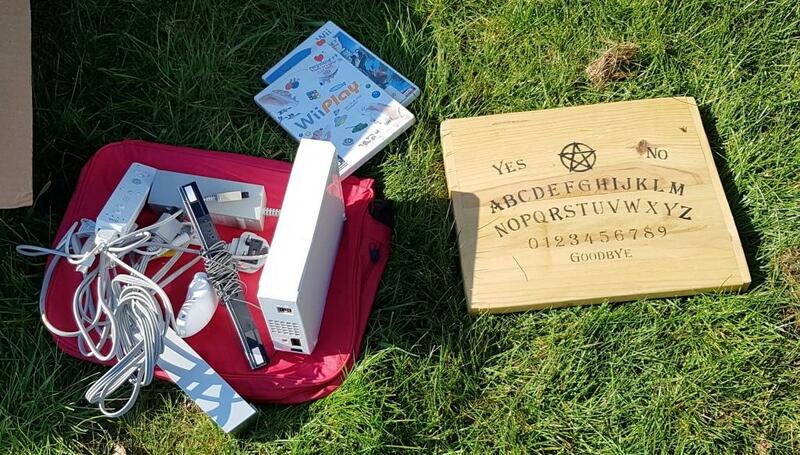 What's the strangest thing you've seen at a car boot sale? 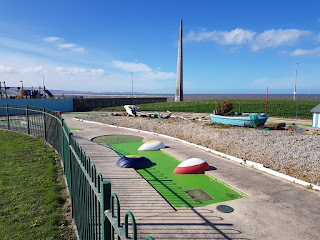 Revisiting the Crazy Golf course on Bastion Road in Prestatyn, Wales. 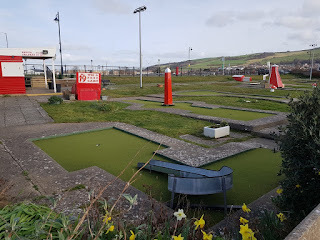 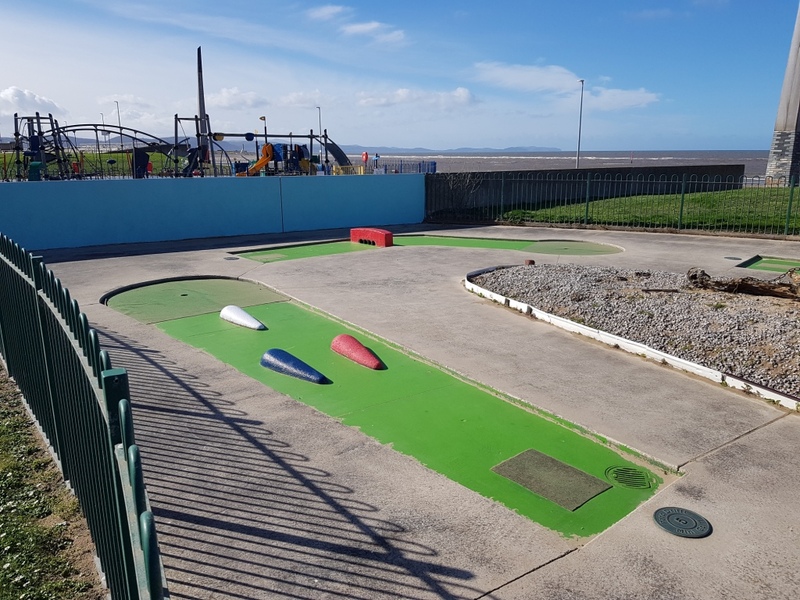 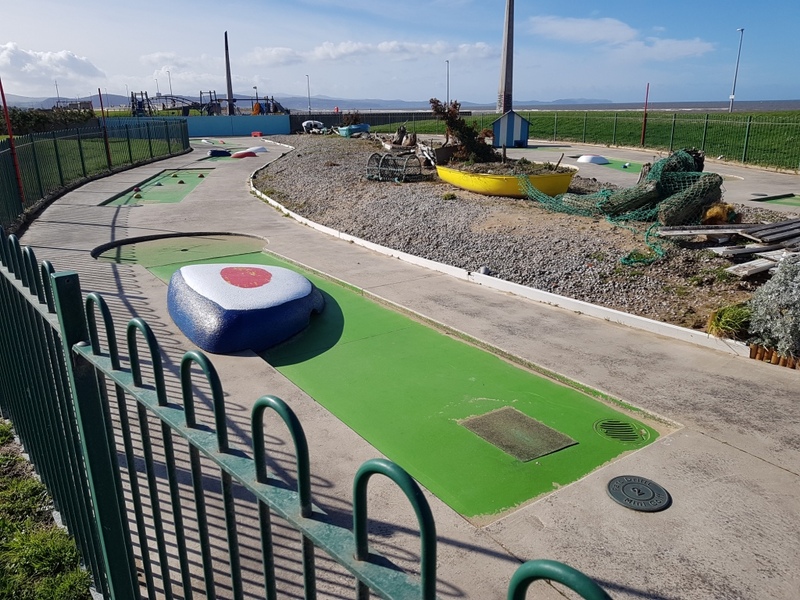 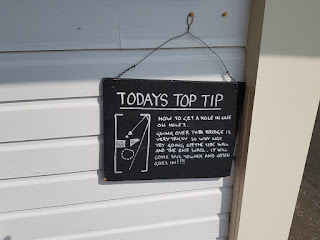 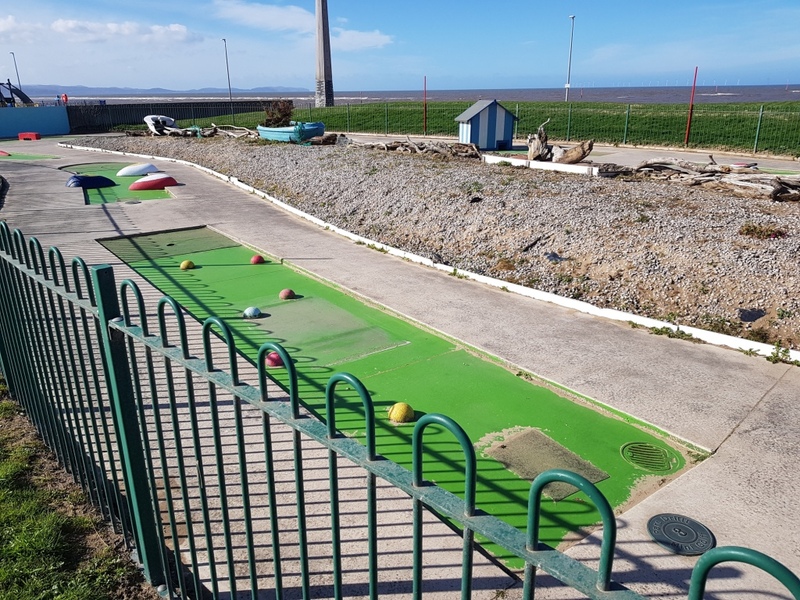 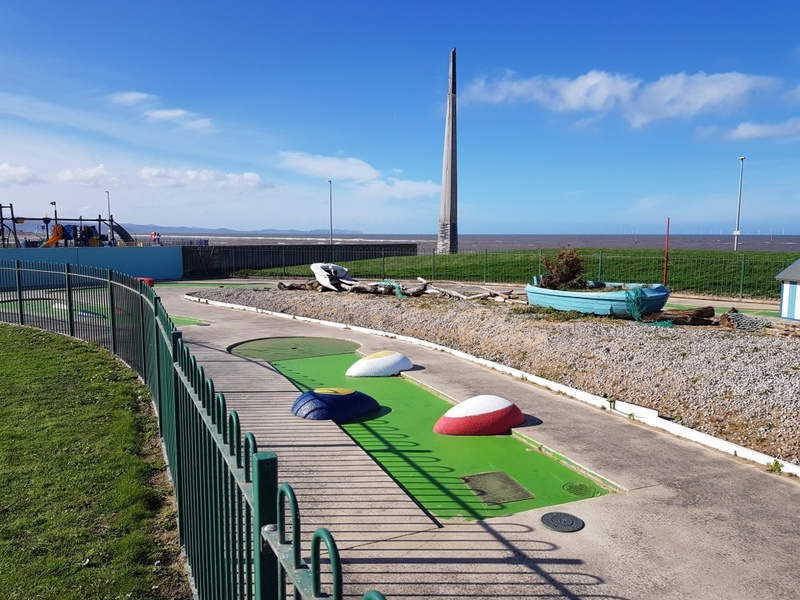 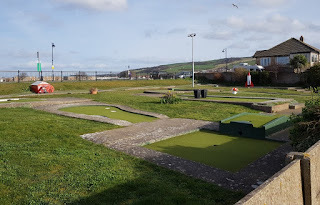 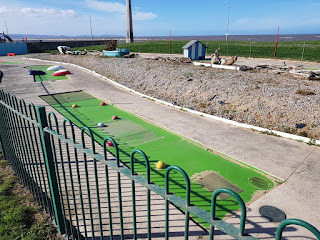 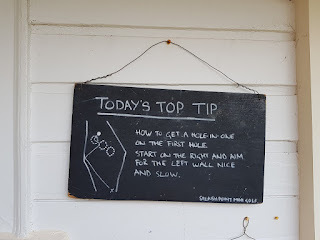 Last month I had a fun day out in Rhyl and Prestatyn and swung by the Crazy Golf course at Drift Park. 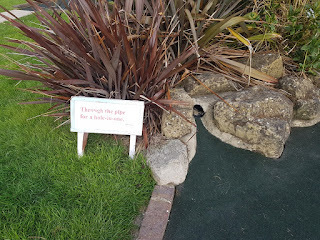 The course was originally the 147th played on our Crazy World of Minigolf Tour in 2009. We've revisited the brilliant 18-hole course a number of times since. 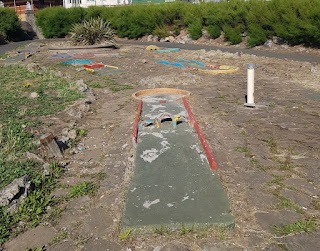 A new 12-hole minigolf course is being built at the Otterspool Adventure Centre in Liverpool. 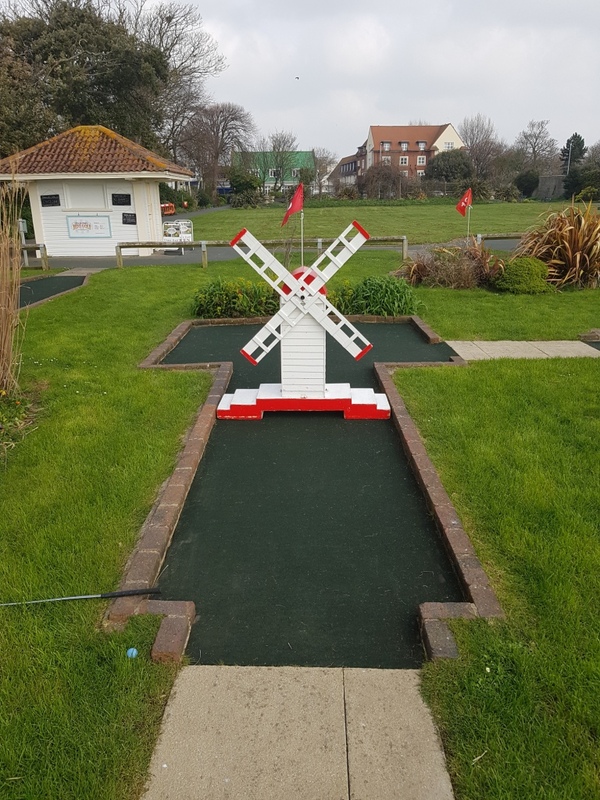 We're looking forward to playing the new course on our Crazy World of Minigolf Tour. 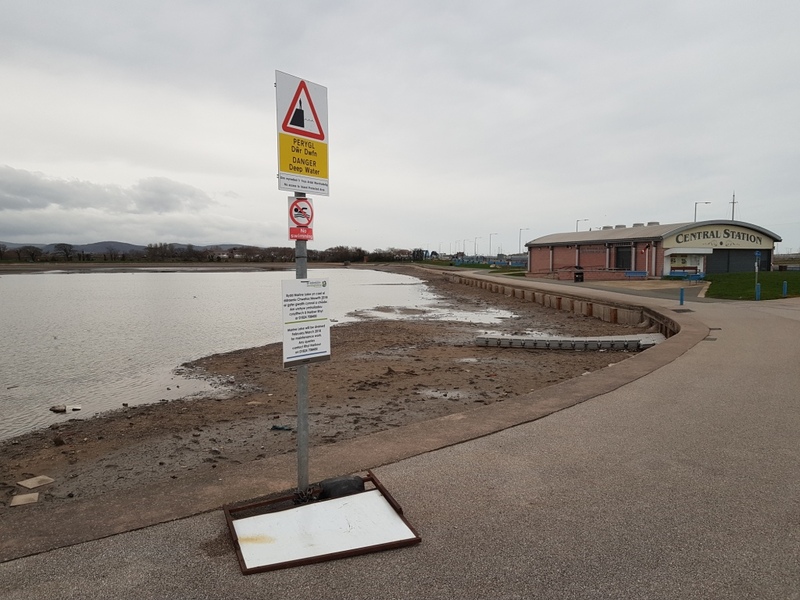 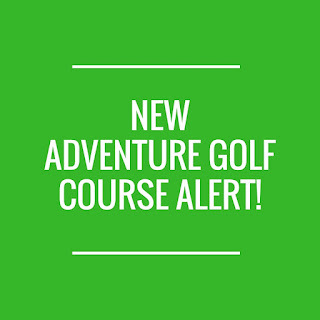 Check out the Otterspool Adventure website for more information. 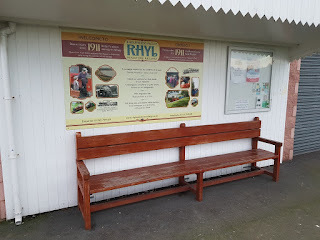 A visit to Rhyl Miniature Railway. 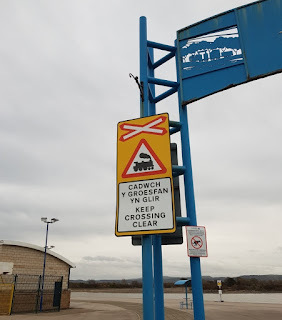 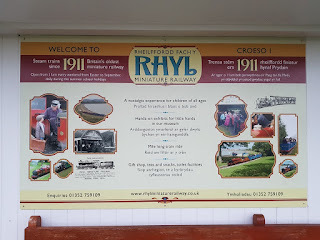 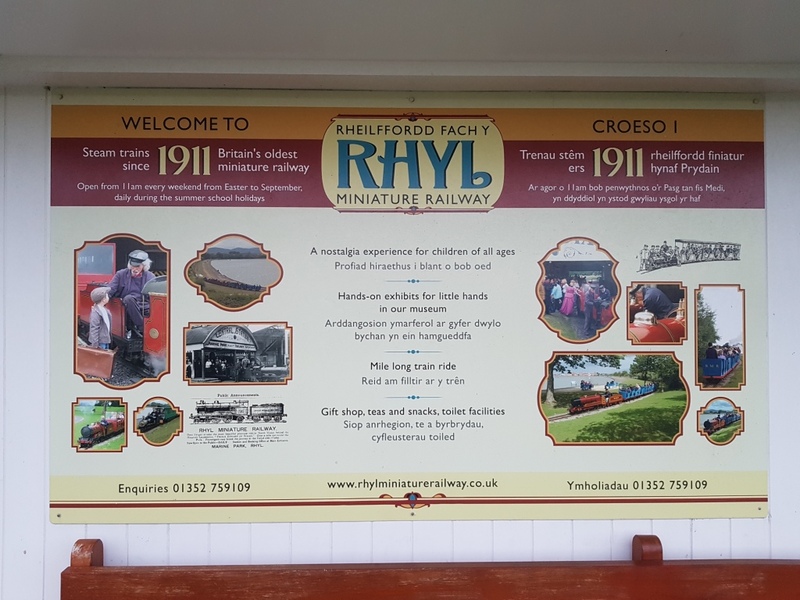 Last month I had a fun day out in Rhyl and Prestatyn and while there had my first look at the Rhyl Miniature Railway. 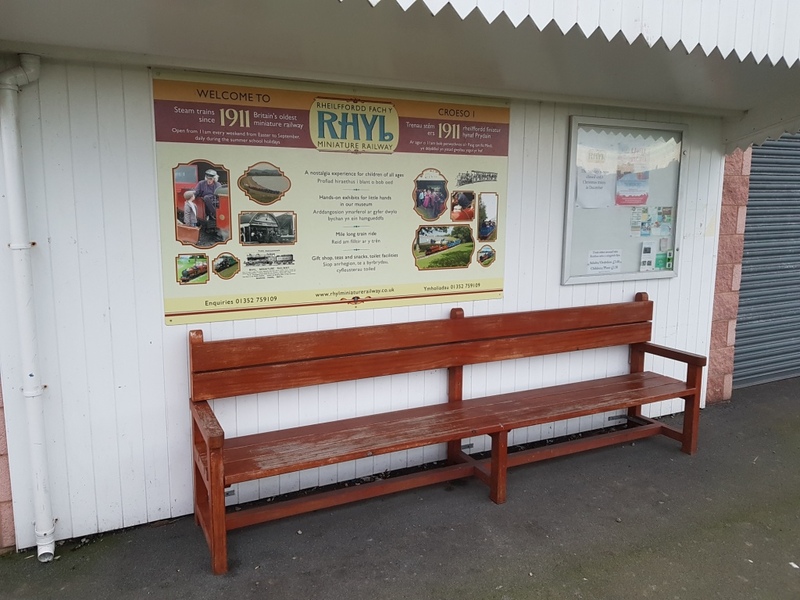 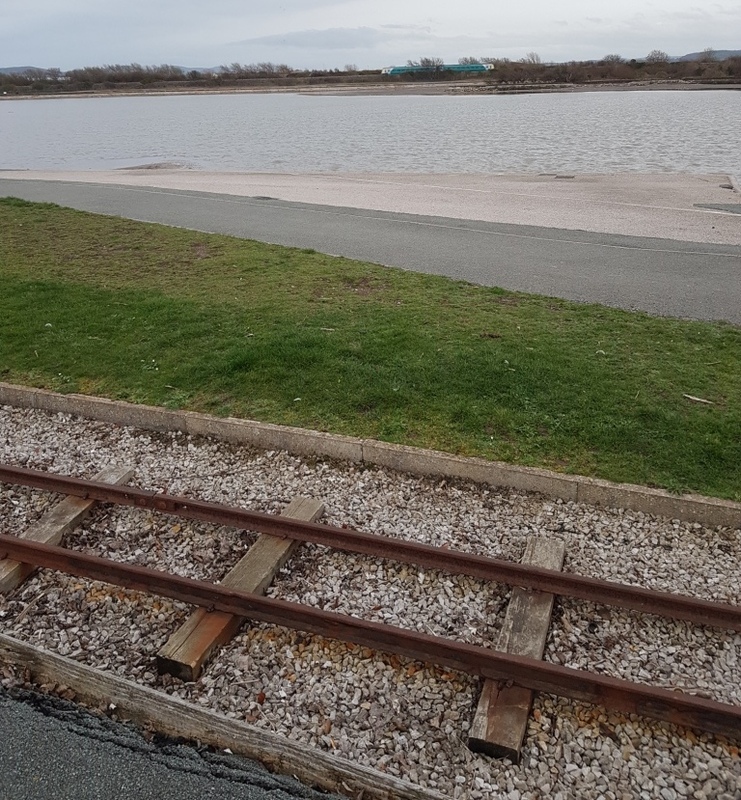 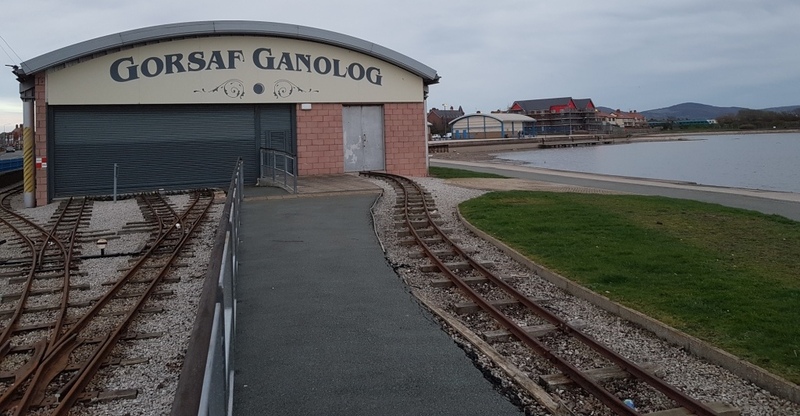 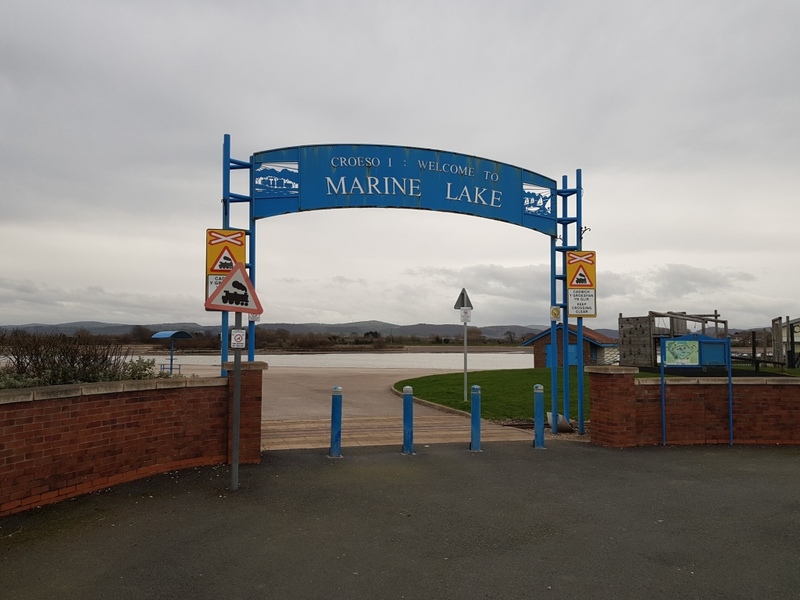 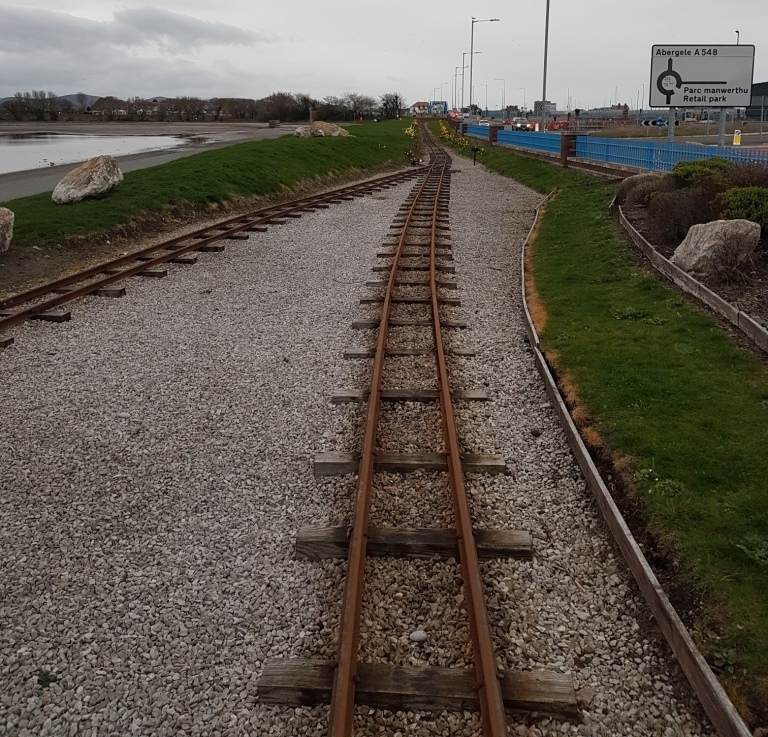 Rhyl Miniature Railway can be found at Marine Lake. 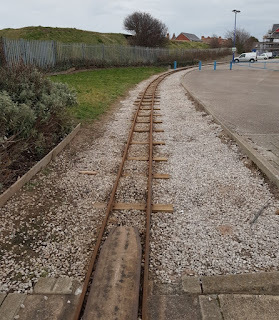 It's the location of Britain's oldest miniature railway! Revisiting the Crazy Golf course at Drift Park in Rhyl, Wales. 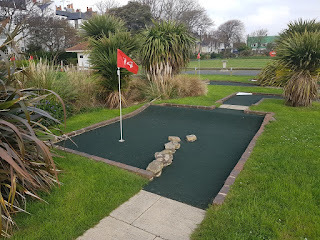 We first played the course on our road-trip around the coast of Wales in the summer of 2009. 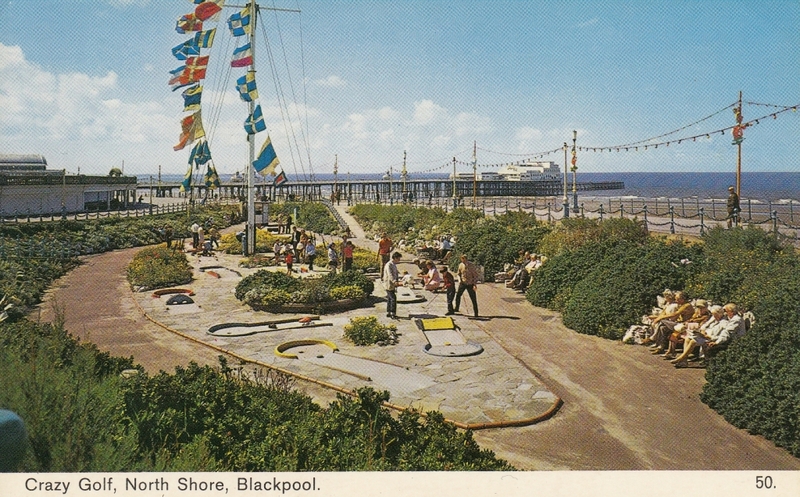 Back then it became the 145th course played on our Crazy World of Minigolf Tour. 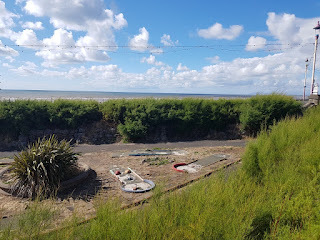 We also visited the course in September 2014, September 2017, September 2018 and January 2019. 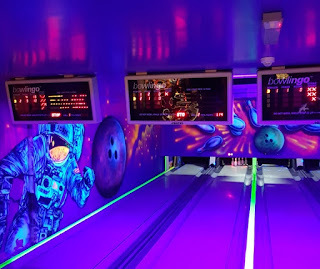 Playing Glow-in-the-dark Bowlingo at Mr B's amusement arcade in Rhyl. Last month I had a fun day out in Rhyl and Prestatyn with my friend and minigolf rival Peter Jones. 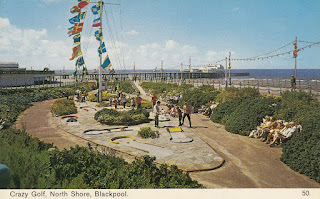 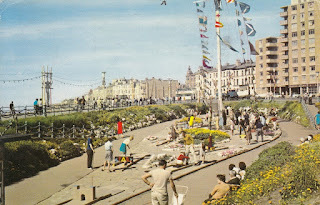 As it was out of season we didn't get to have a go on the miniature railway or play any of the Crazy Golf courses there. 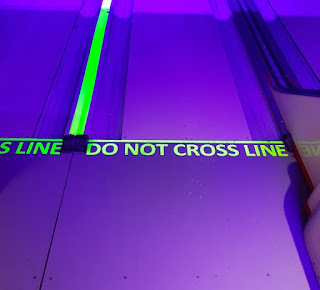 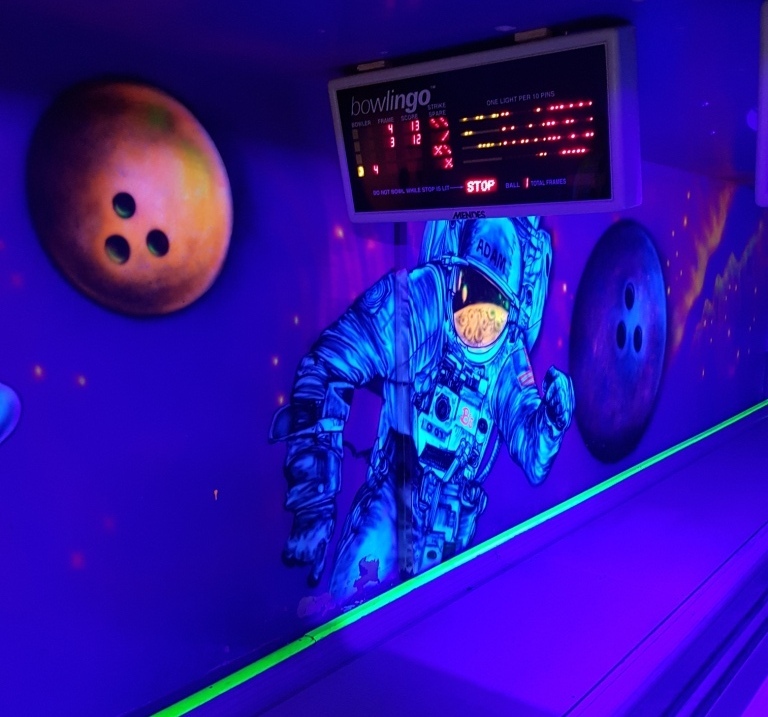 Luckily the amusement arcades were open so we were able to have a game of UV glow-in-the-dark black light Bowlingo at Mr B's amusement arcade! 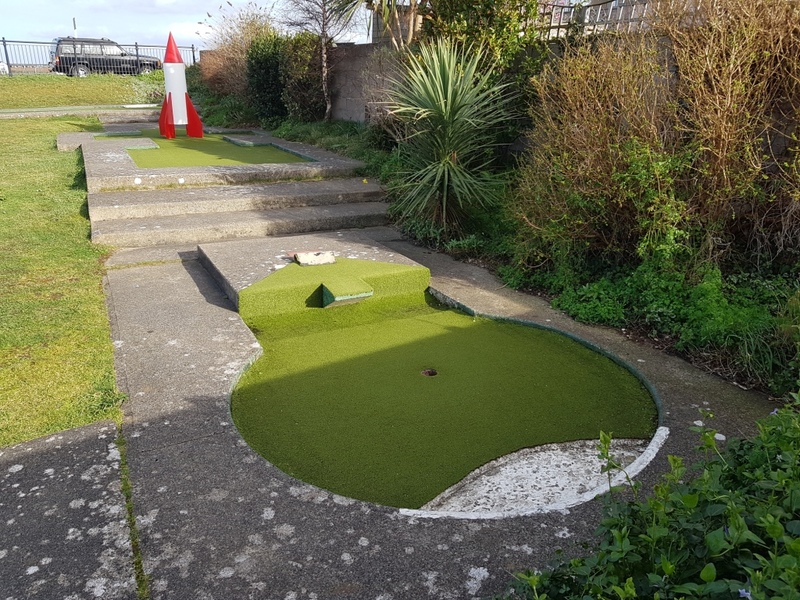 A new minigolf course could be built at Cineworld Middlesbrough. 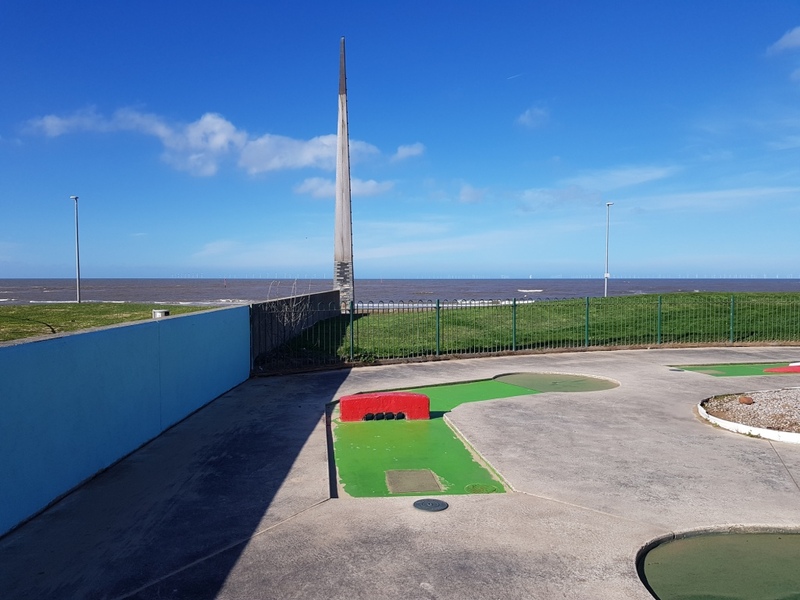 Cineworld Middlesbrough are looking to expand and the plans include adding a new minigolf course at the venue. 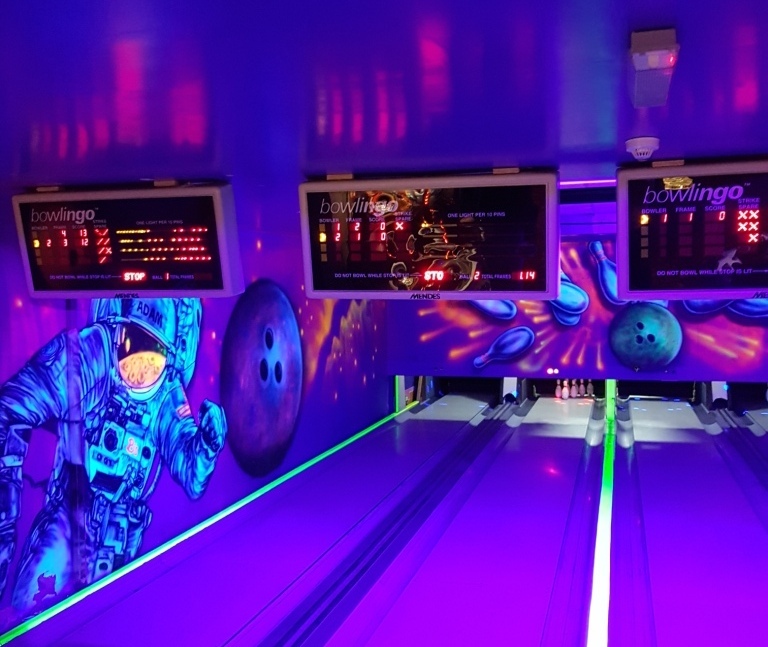 Check out the Cineworld Middlesbrough website for more information. 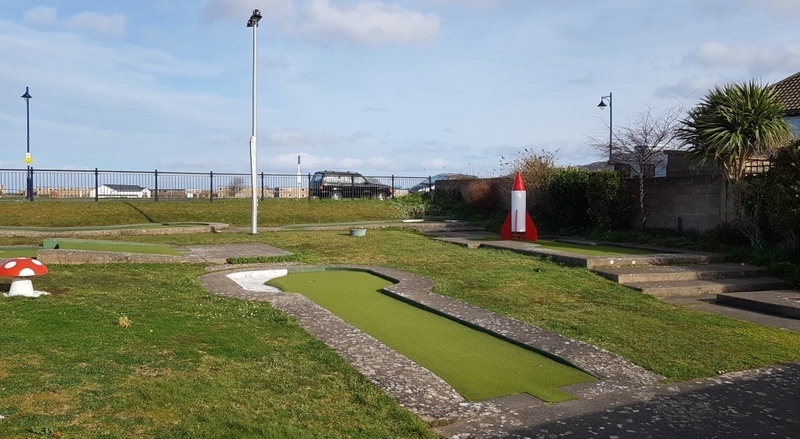 A new Adventure Golf course will be built at Middlesbrough Sports Village. 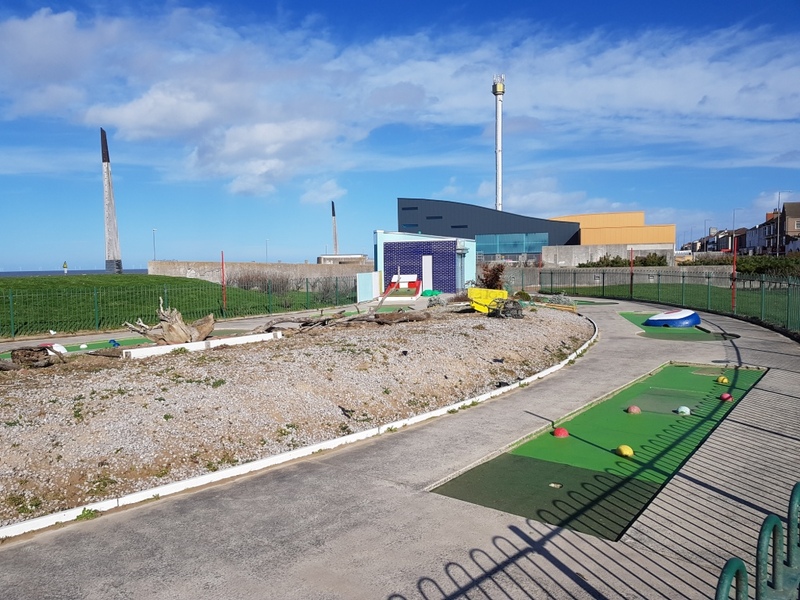 The team at Showcase Greens have announced that they will be building a new Adventure Golf course at Middlesbrough Sports Village. 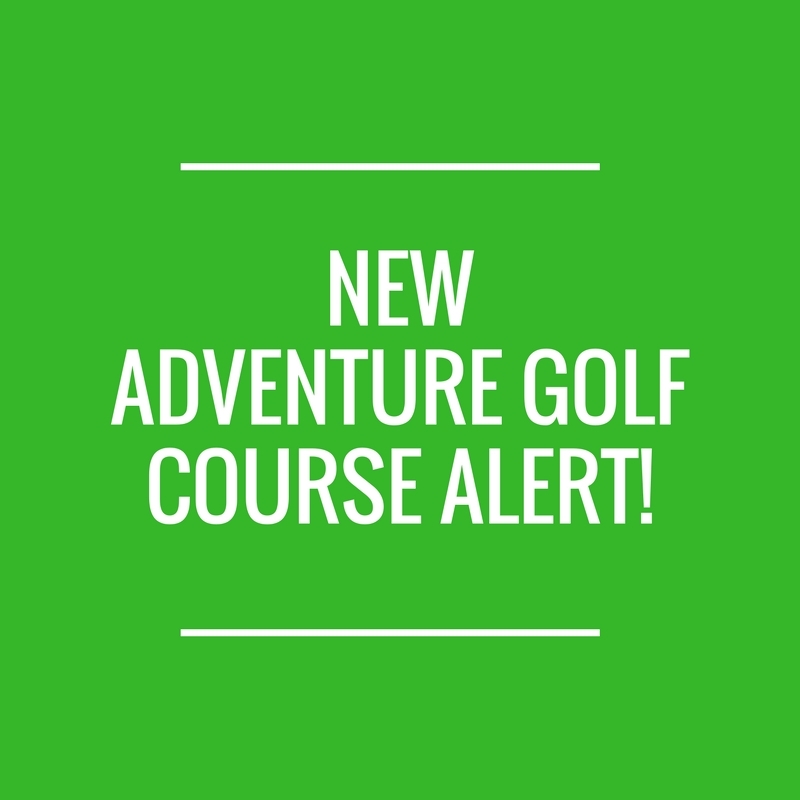 The new course will have a Pirate theme. 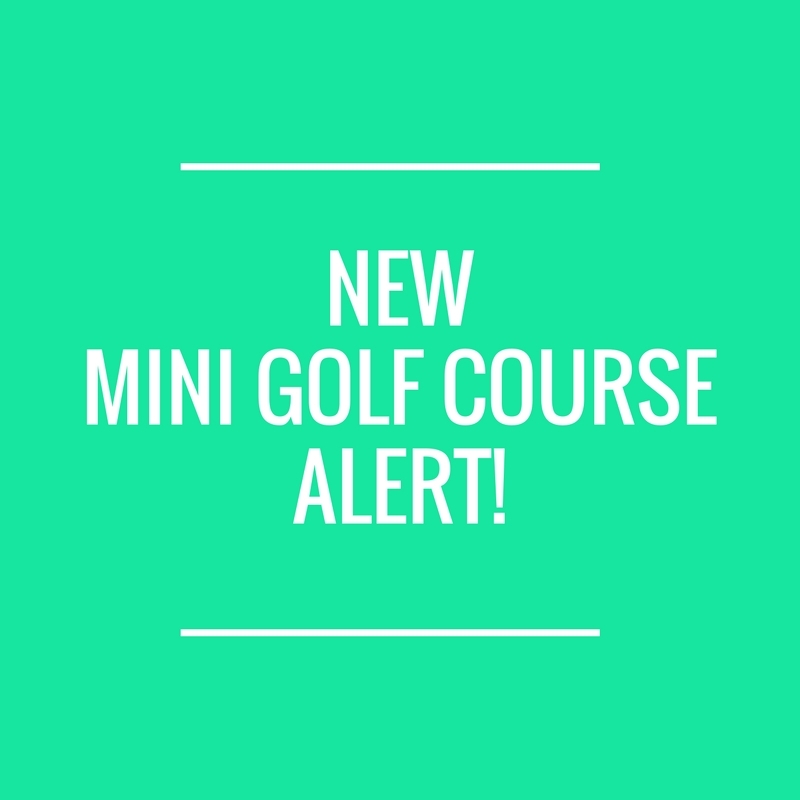 Check out the Showcase Greens website for more information. 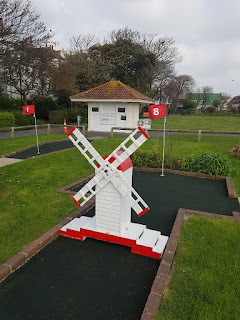 It's less than a month until National Miniature Golf Day 2019. The first of the years Miniature Golf Days is fast approaching. National Miniature Golf Day falls on the second Saturday in May, this year that's Saturday 11th May. For some ideas and inspiration check out our Crazy World of Minigolf Tour blog post to see the 850+ courses we've visited on our travels since 2006. 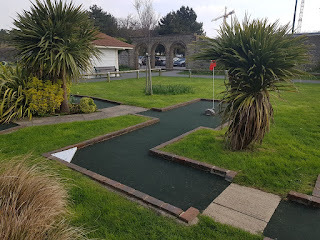 Each year there are two annual 'days' to celebrate the game. 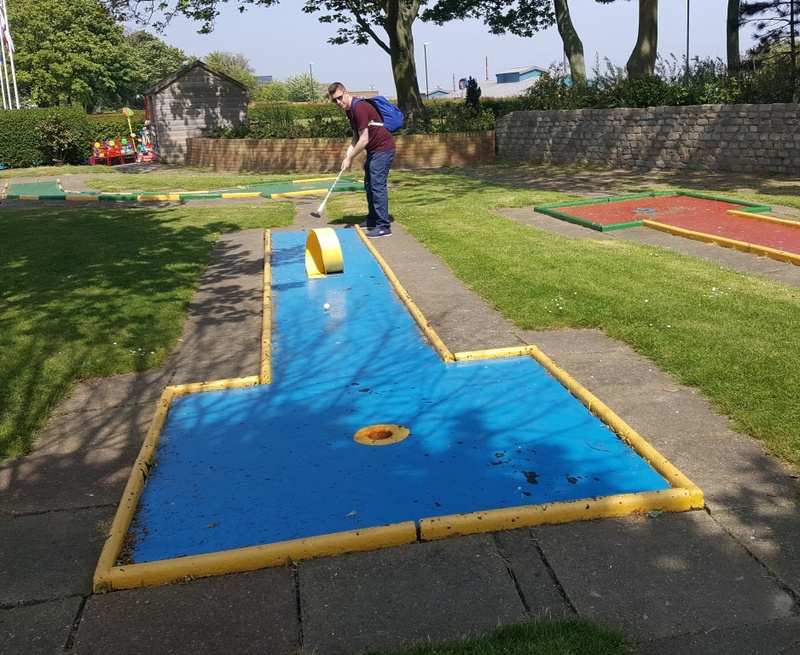 The first is National Miniature Golf Day, while the second of these awareness days is Miniature Golf Day on the 21st of September. A look at Splash Point Mini Golf in Worthing's Denton Gardens. 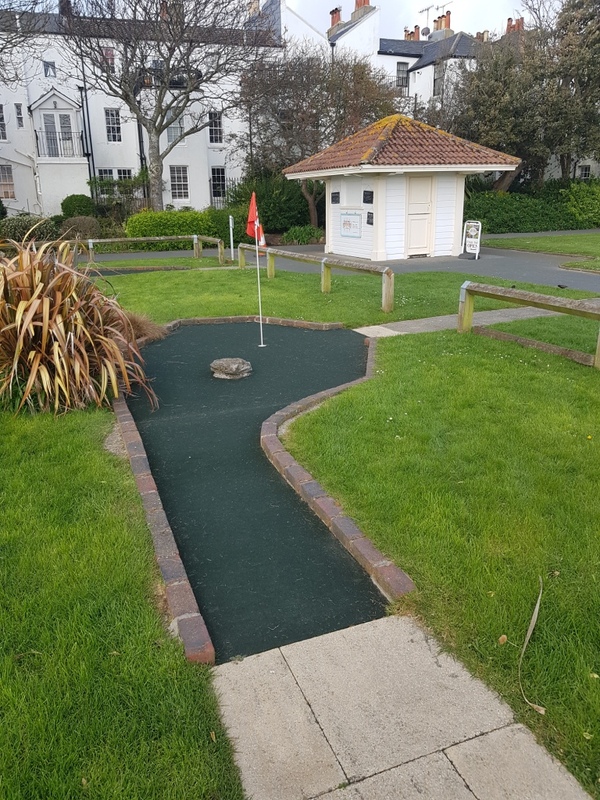 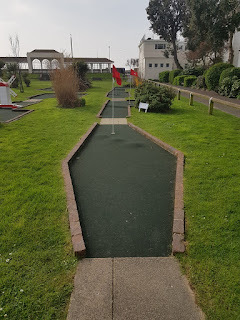 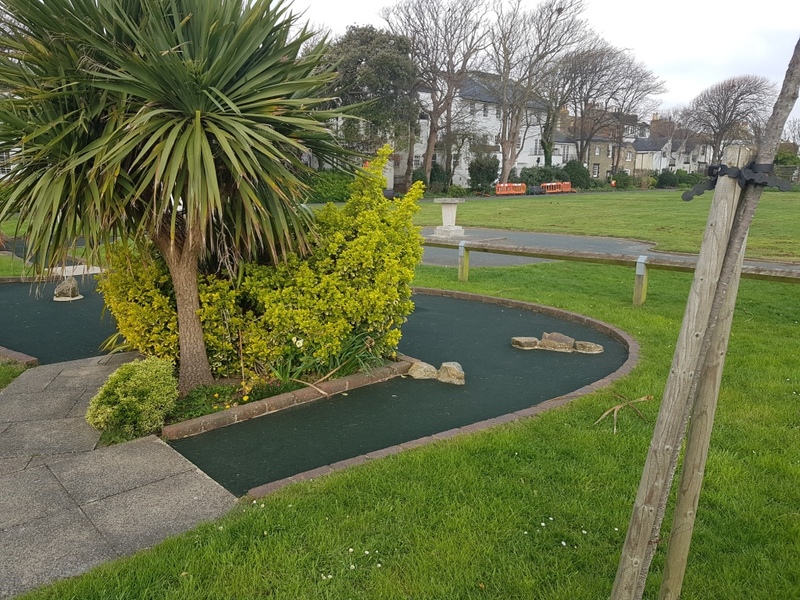 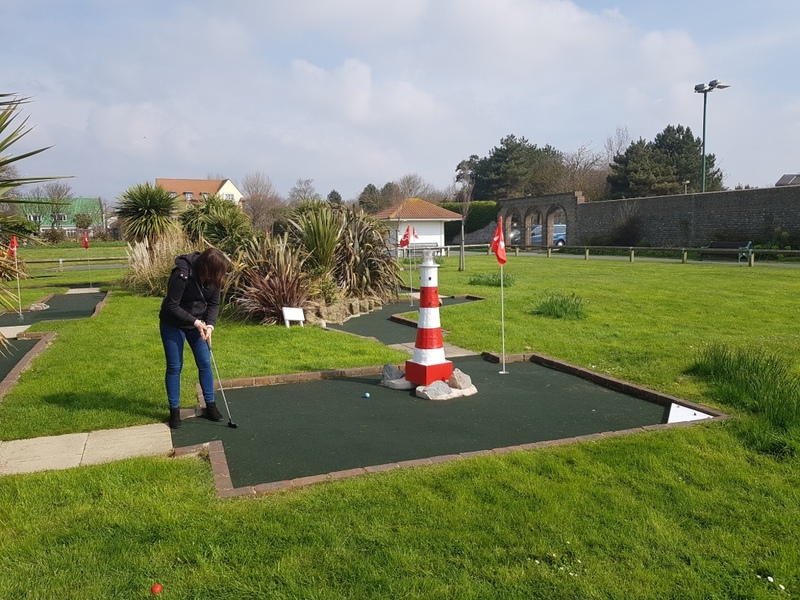 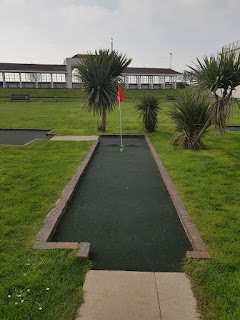 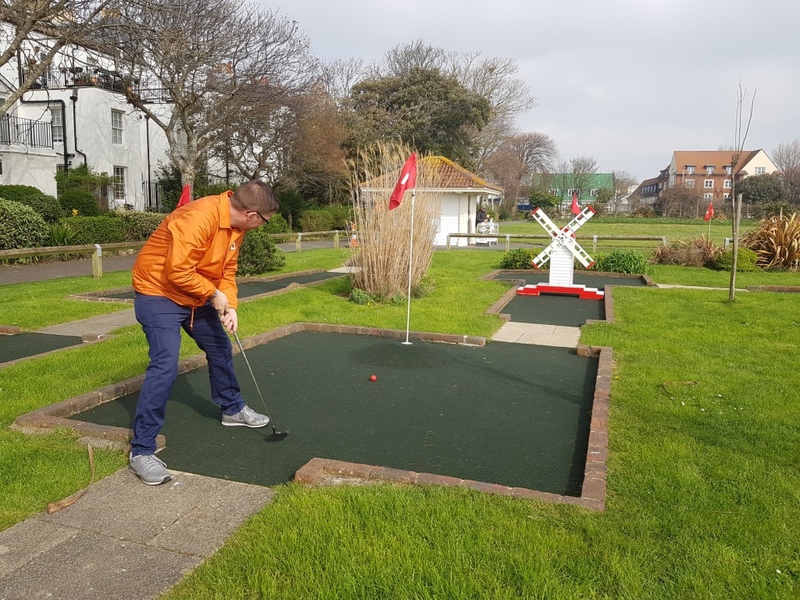 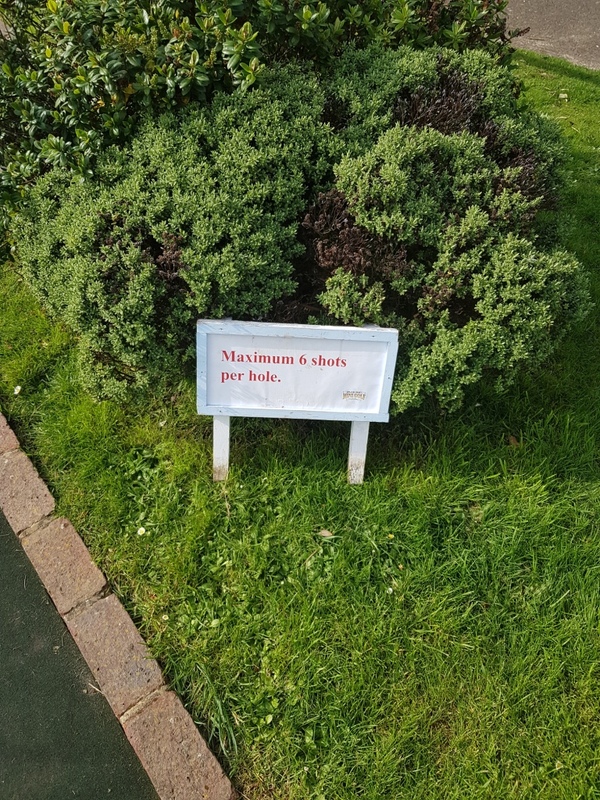 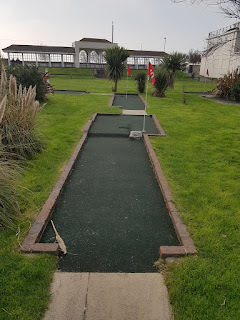 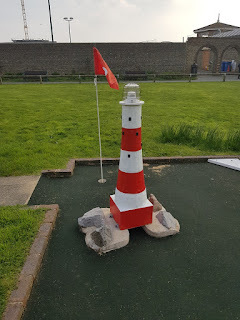 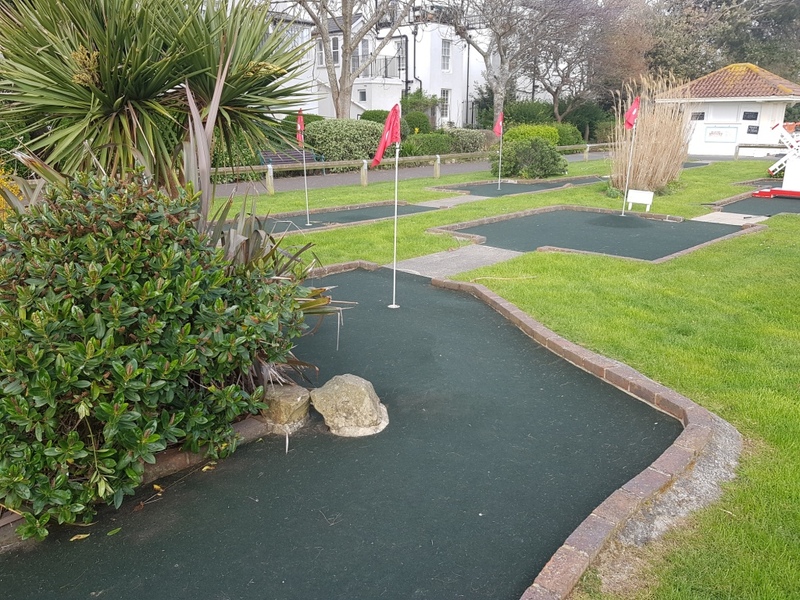 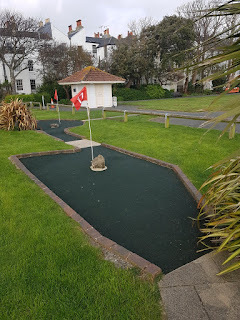 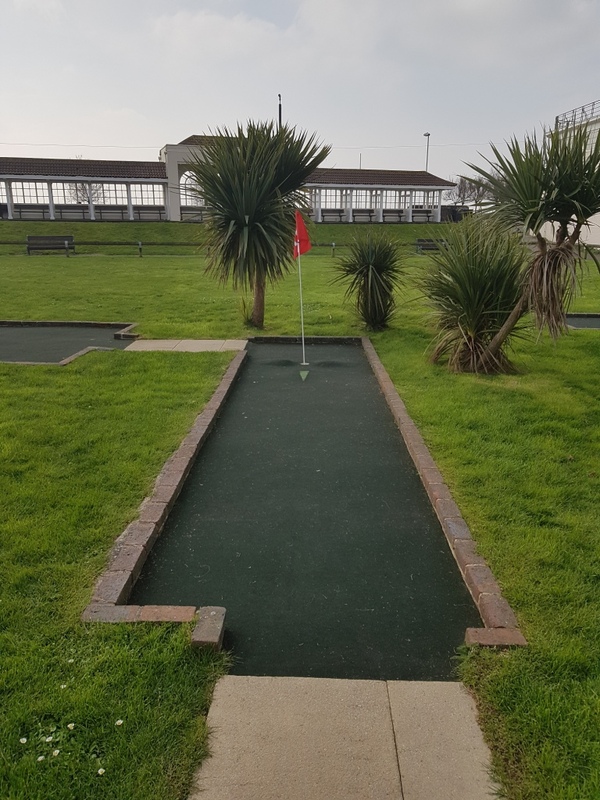 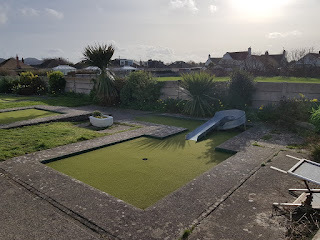 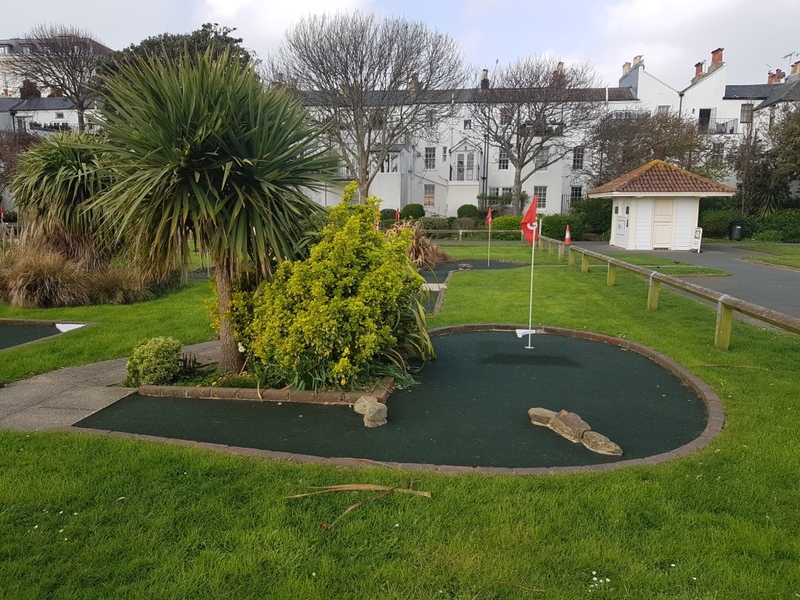 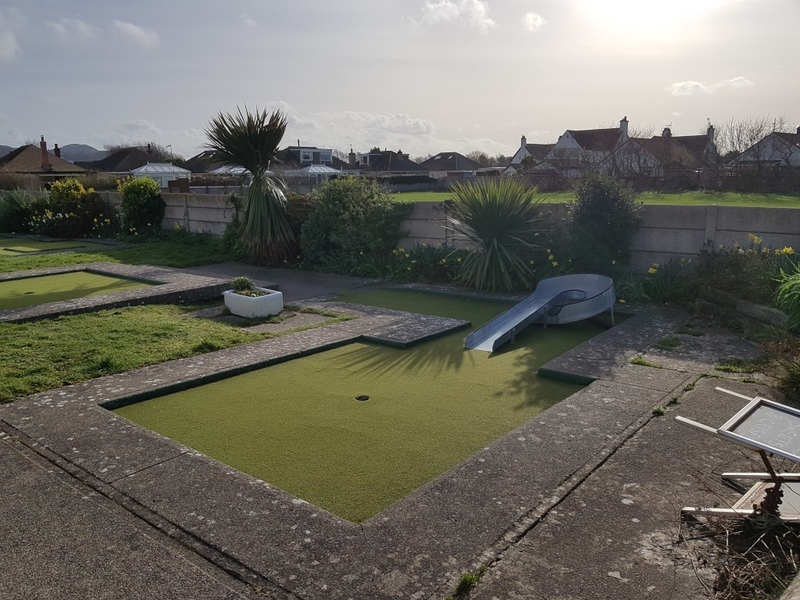 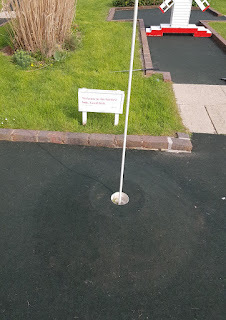 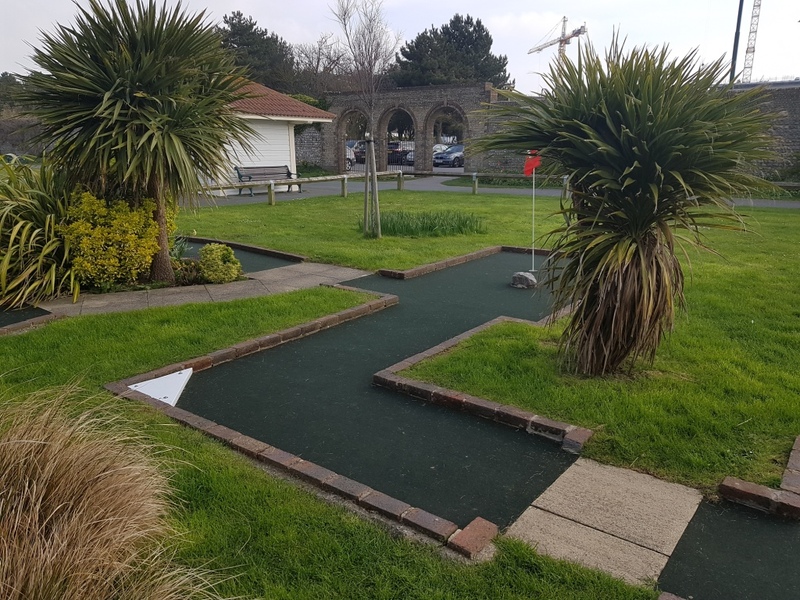 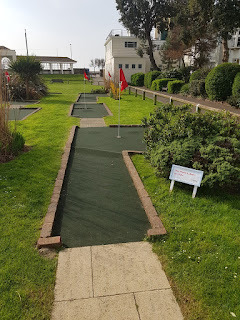 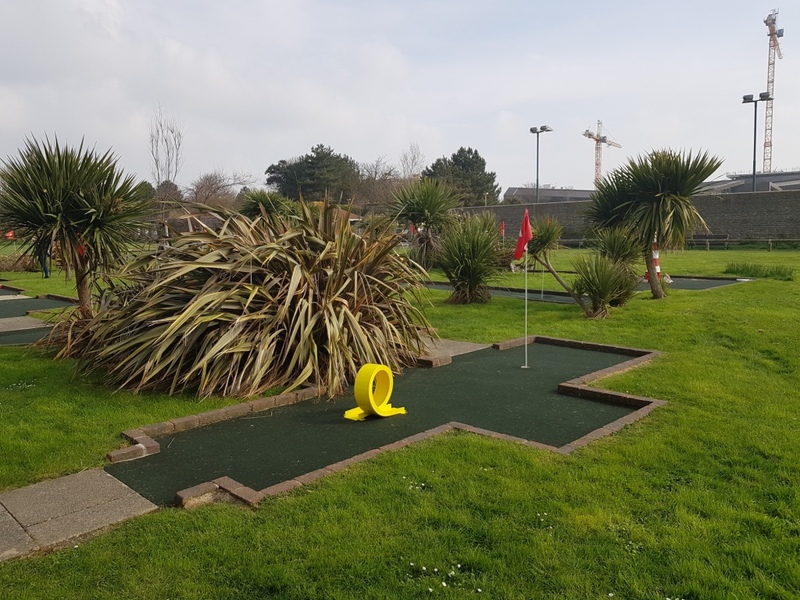 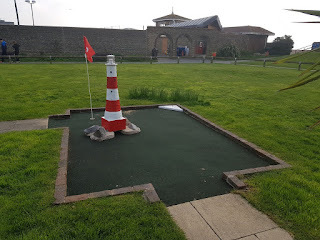 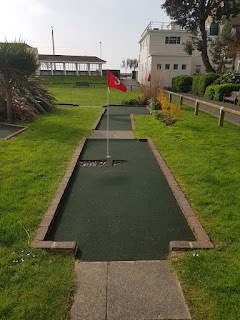 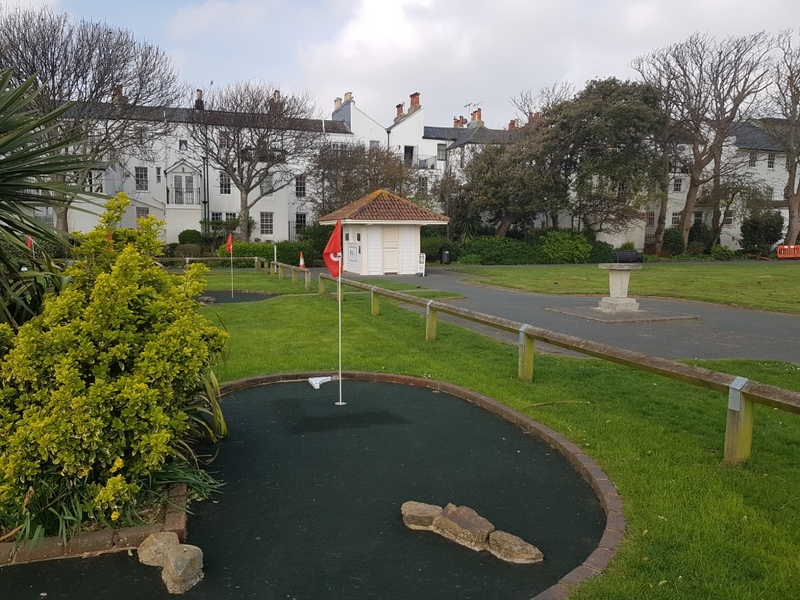 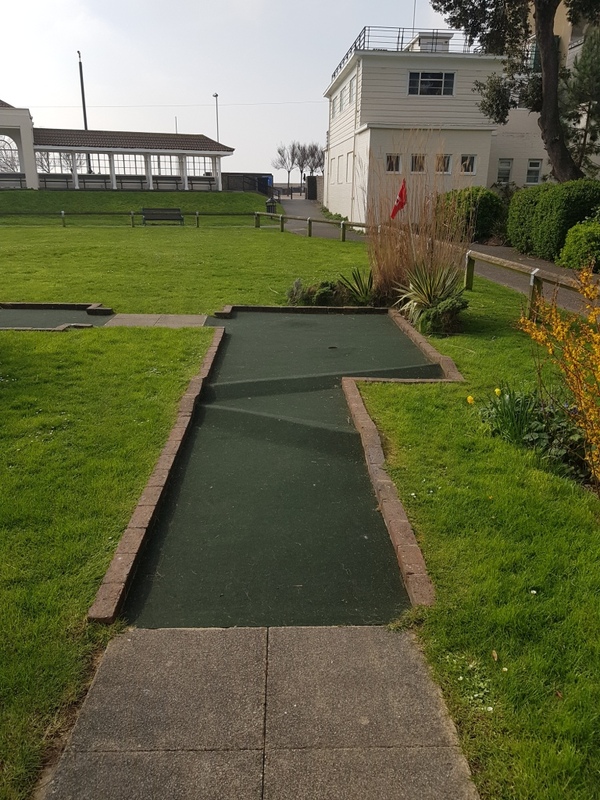 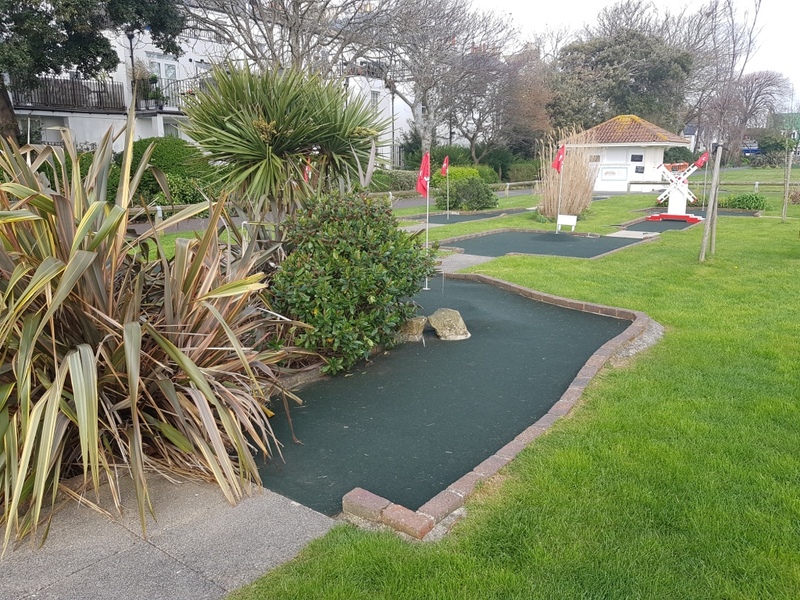 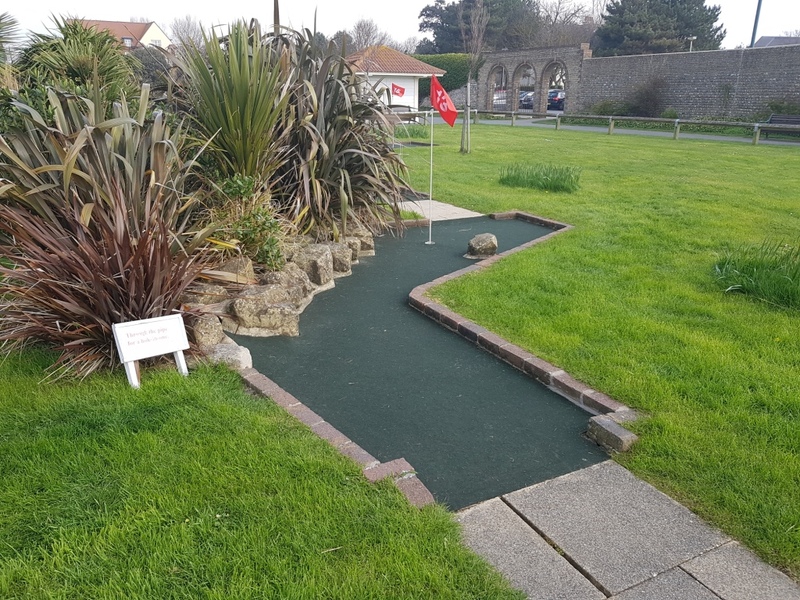 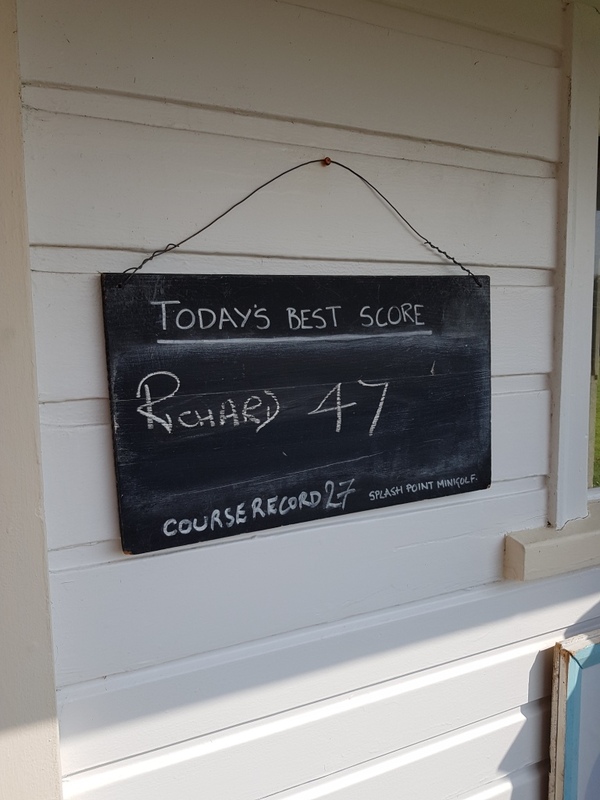 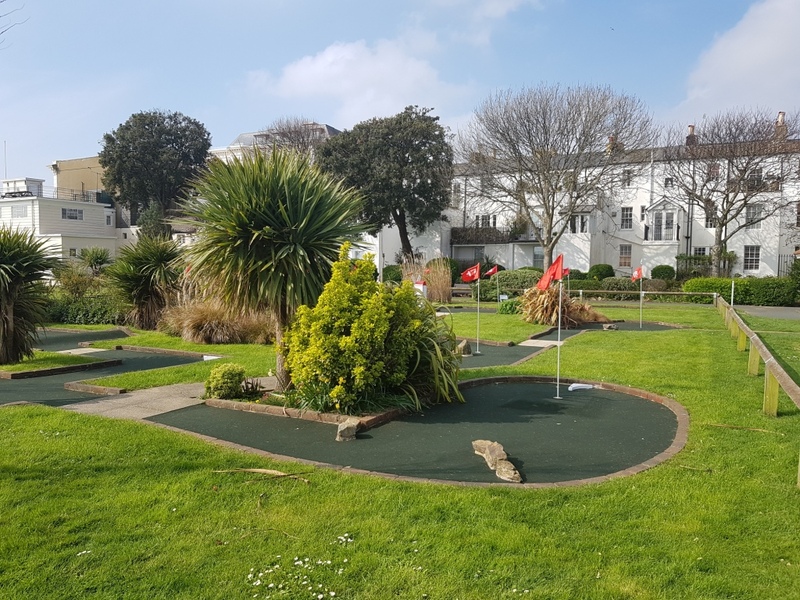 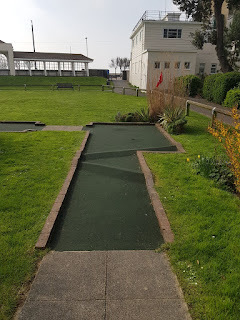 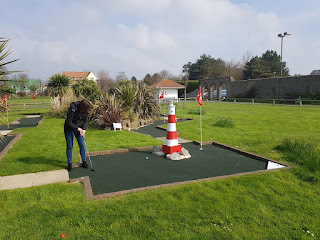 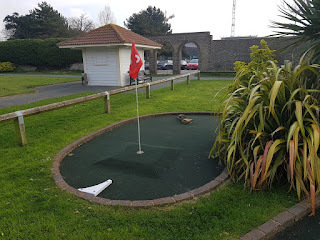 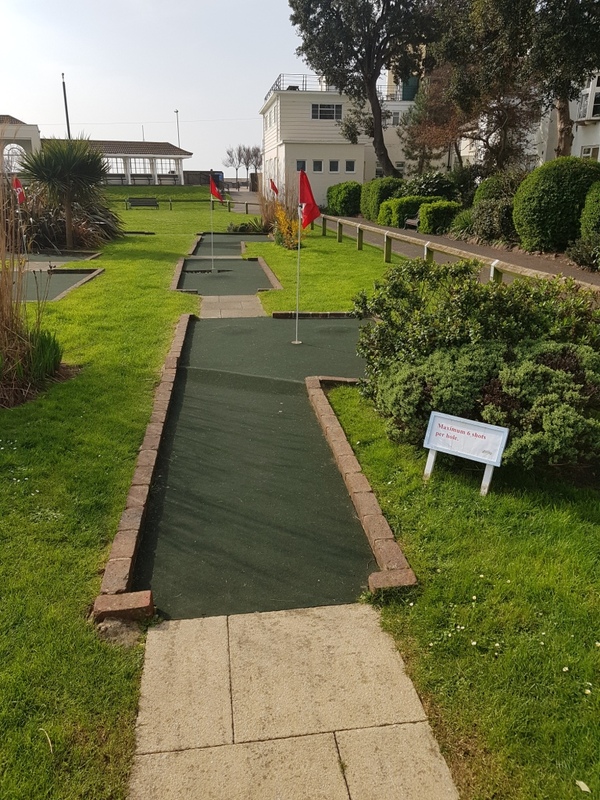 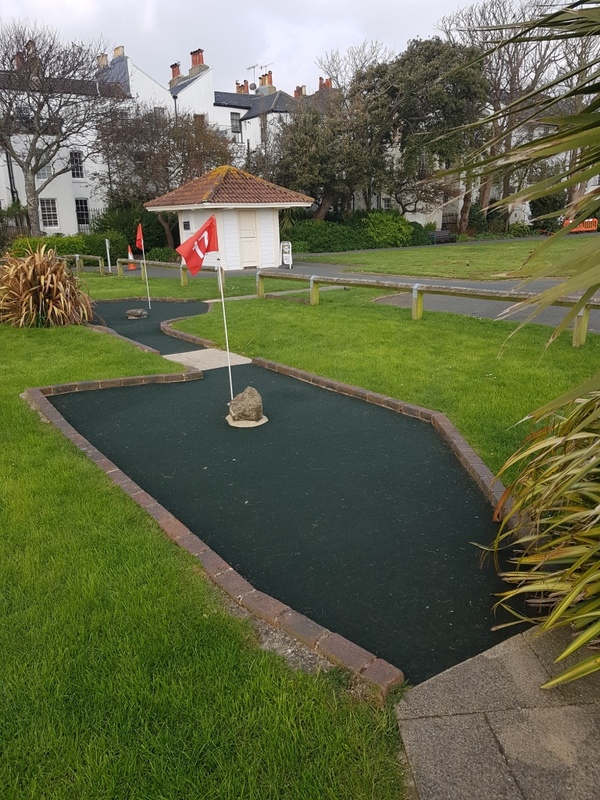 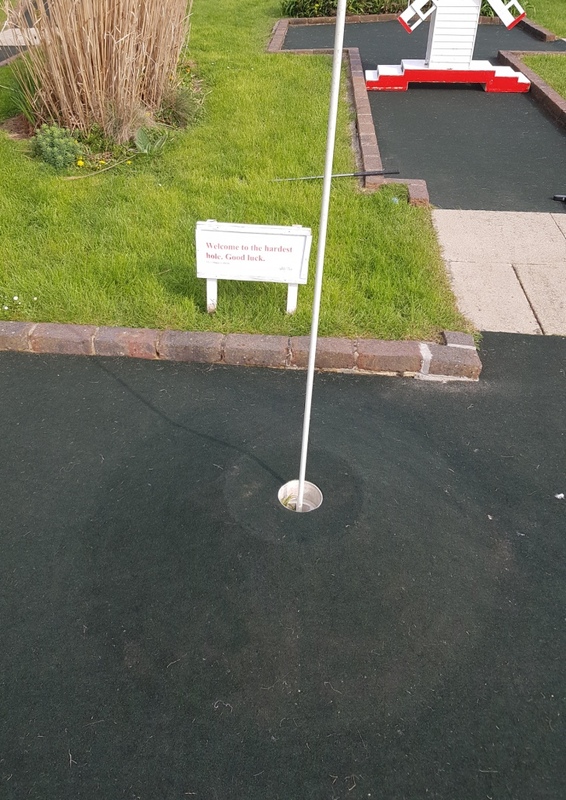 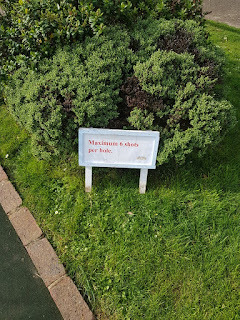 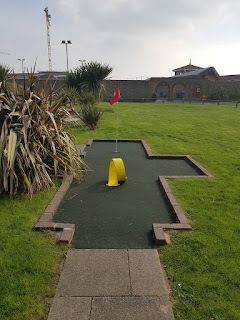 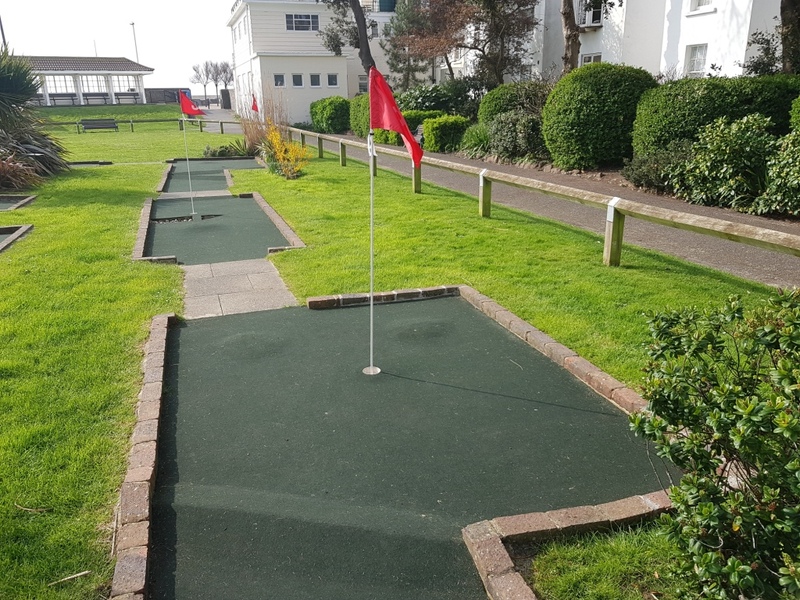 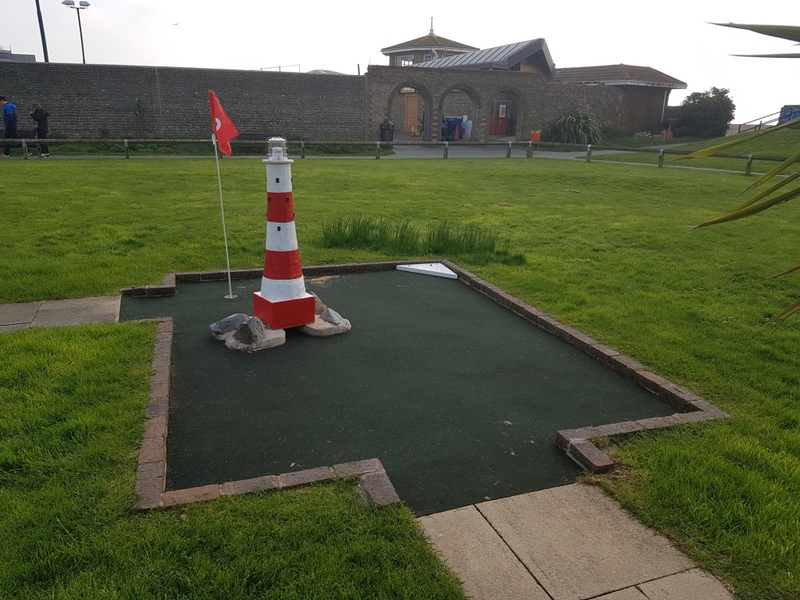 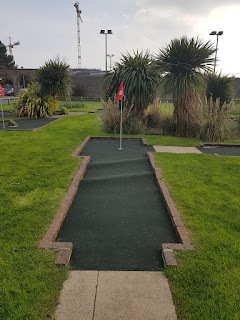 On Saturday 6th April we revisited one of our favourite miniature golf courses in the country as we called in for a game at Splash Point Mini Golf in Denton Gardens, Worthing. 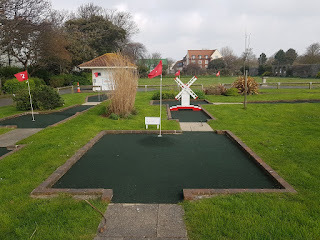 Minigolf has been played in Denton Gardens since 1905 and the 18-hole Splash Point Mini Golf course opened in 2010. The layout was the 181st course visited on our Crazy World of Minigolf Tour. 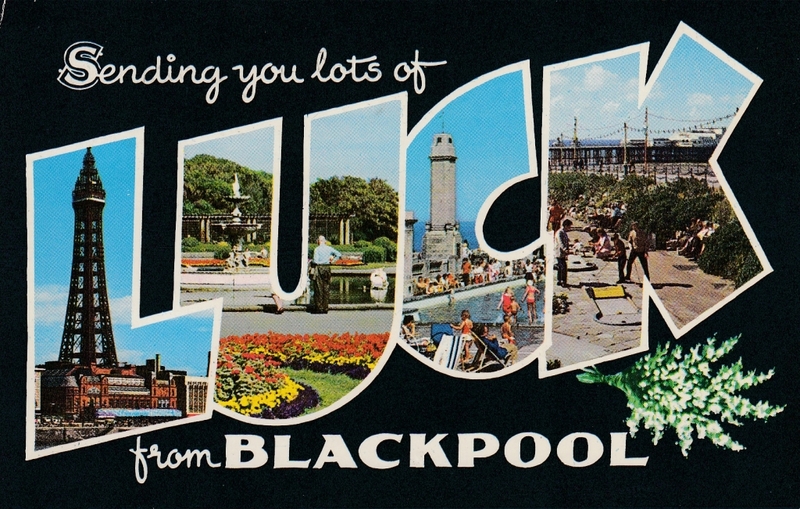 We're now up to 862 courses on our travels since September 2006. Visit the Splash Point Mini Golf website and follow the course on Twitter.